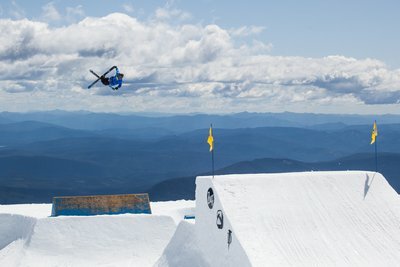 I know this is an unpopular opinion but no rail trick is as stylish as a big air trick. Lip on blind 2...c'mon guys. Give me a nice laid out back flip over some k-fed thingy anyday. Lip on blind tru, switch lip to switch, cork 3 safety, cork sev blunt, my personal favorites. Woodys switch triple octo, any trick Kai Mahler does and JC 180 to the moon. dwt802 Lip on blind tru, switch lip to switch, cork 3 safety, cork sev blunt, my personal favorites. A super steezy cork 3 truck driver. Simple and stylish! JoeF2661 I know this is an unpopular opinion but no rail trick is as stylish as a big air trick. Lip on blind 2...c'mon guys. Give me a nice laid out back flip over some k-fed thingy anyday. Its actually all about how you interperet it man aha. dont be so closed minded? what is with you? TheGreenRoom Its actually all about how you interperet it man aha. dont be so closed minded? what is with you? It’s not being close minded it’s asking for other people’s interpretations and opinions. I would have thought better from a descendants fan. JoeF2661 I would have thought better from a descendants fan. It was sarcasm my man!